Check out 100s of the season’s best cuts, from lobs to pixie length—and everywhere in between. Hone in on the latest to-dye-for color trends, including bronde and rose gold, plus techniques like contouring, glossing and natural illumination. Take advantage of our simple pro tips: Get a bombshell blowout at home, tame frizz and pick the right brush for your style. Take a peek at runway looks headed to your block. 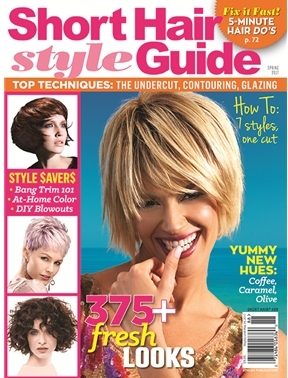 Plus, find out how to style your hair to match your fashion and accessory choices.